Self Transcendence – What does it mean? Within each individual, there is a desire for going one better and improving our situation. It is the driving force behind evolution; it is what encourages people to train and develop their physical capacities. This inner aspiration for self-transcendence is an important feature of human nature. Self-Transcendence can most easily be measured through improvements in physical achievements. In running, it involves trying to break new records in both time and speed. The beauty of self-transcendence is that it can be practised by anyone; we need not compete with others, we can just compete with ourselves. From this perspective, we can get great joy by surpassing our previous personal bests. Self-transcendence is a concept that is incorporated into different spiritual traditions. In this regard, we are seeking to go beyond our limited state of ego to expand our own consciousness. When we identify only with the body and ego, it is a limited perspective. Spiritual traditions suggest we are more than just a frail body. Through practising yoga and spiritual traditions, we learn to expand our consciousness and feel our connection with the universal Self. There is no need to separate the physical self-transcendence with spiritual development; they can harmoniously work together and complement each other. 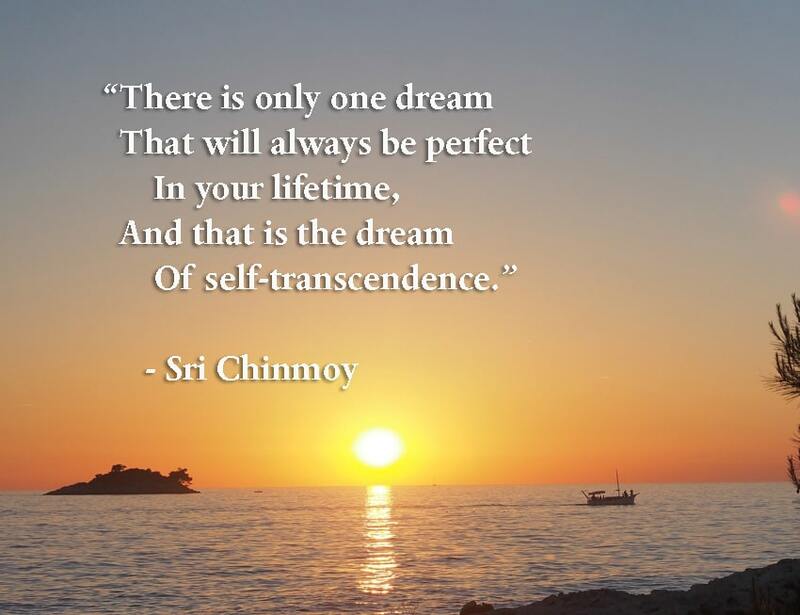 One notable example of this is the 3100 mile Self Transcendence race founded by Sri Chinmoy. The 3100 mile is an epic race which can take competitors between 45 – 60 days to complete. To run such a mind-boggling distance requires the co-operation of both body and soul. By completing this act of physical transcendence, we are going beyond the limits of what the mind may think possible. By stretching our physical capacities, we also delve into a different understanding of ourself. A sense of oneness with others. It is this sense of universality that is a practical and spiritual manifestation of self-transcendence. Citation: Pettinger, Tejvan. “Biography of Self-Transcendence”, Oxford, UK – www.biographyonline.net. Last updated 1st February 2008.